Last year about this time, I was searching for new ways to stretch myself. This blog, JoeChooseHappiness was one of my New Years Resolutions. A year later, it’s been going really well. I’ve had a blast doing it. I’ve learned a lot along the way. It’s super fun for me to share my journey with you readers. I rarely address you directly, but you deserve it today. I thought I’d give you a little peek behind the blog. – Blog about happiness. I share things that make me happy. I take pictures of people and places that I enjoy. Of course life is not all rainbows and unicorns, but there’s plenty of places to get the bad news, so this a place to find good news. I’m not a great writer, so I don’t write a lot. I like pictures, so I post alot of pictures. I’m a pretty straightforward guy. This blog is not about whining. If I don’t have anything nice to say, I don’t say it. – Blog about my passions. This blog is for fun. When it’s not fun anymore, it’s to move on. I blog about things I’m passionate about. Fun times with my family. Training and racing with my triathlon friends. Random techie stuff. Artsy and nostalgic. Design and funny stuff. Happiness research, good books. – Blog about my family. There are some privacy guidelines that I set up. This blog is from my perspective as a husband, dad, engineer, triathlete, mentor. My wife and kids have their own lives. They can share it with their friends in other expressions. When our lives intersect with happy times, it’s fair game to blog about it. Since they’re still young, I don’t share many personal details about them, just the fun narratives. Their own thoughts and details are theirs to develop and share in their own way. – Blog for my friends. 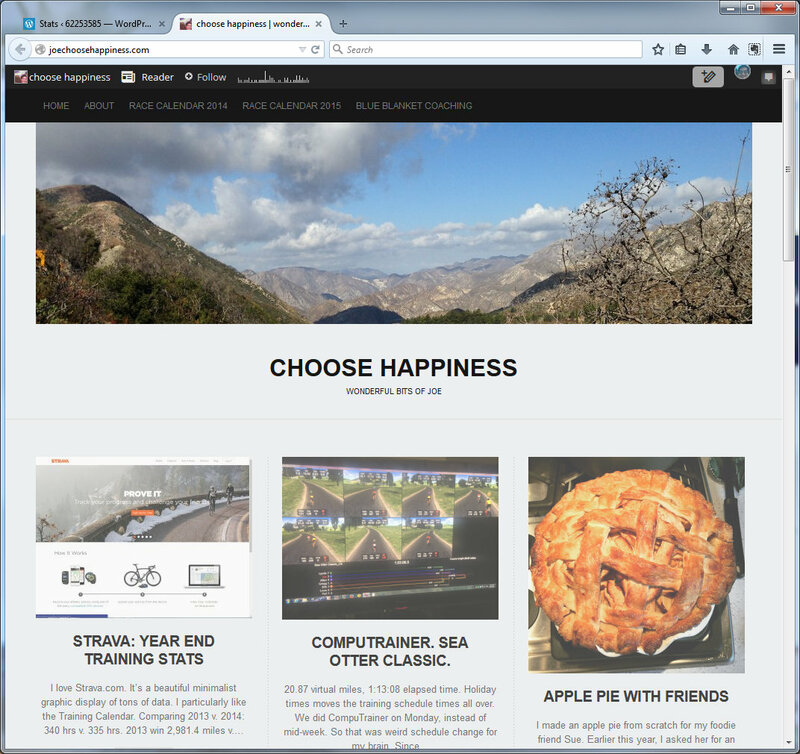 As a volunteer at Pasadena Triathlon Club, I blog a lot about their activities. This blog was a convenient way to share with them about club events. But, this is still a personal blog and not slightly different from a Club blog. It’s my perspective. Posts are my funny stories. Obviously, there’s other sides to the stories. Those are just as fun to compare. – Blog for the stats. As a data driven geekizoid, I eat up all the stats. The likes, the comments, the hits. It’s all addictive. WordPress has the analytics for the blog authors. I love it. I am constantly surprised about how far reaching my followers are! Thank you for reading these wonderful bits of joe! Today I got my 1000th post ‘like’. The totals for the 2014: 12,701 views (from over 73 countries), 5,880 visitors, 1,010 likes, and 184 WP followers. 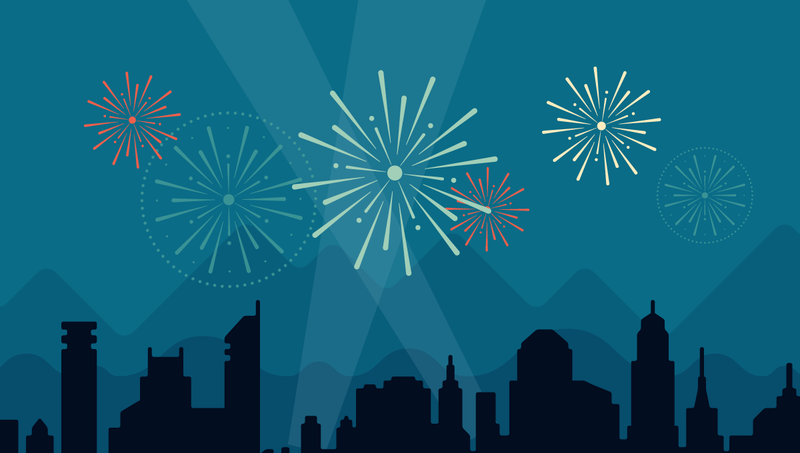 Check out WordPress new year’s present, 2014 in Blogging Annual Report. – Blog to give personal insight. This kinda breaks all the rules. Sometimes I share things very personal, things that I’m thinking about. Within every post I try to post a little personal nugget. It’s got to be more than a sterile narrative. Nobody cares about your workouts, unless they’re going to learn something about the workout or about me. What about the workout? So what? I try to tie it together with something. There was something I found beautiful about it. There was something hard that will help me be stronger or faster. Or, I met someone new. Everybody likes to see themselves in the pictures or in the text of the story. I’m reminded of the Law of Attraction, that Like attracts Like. So, if you like this blog, we should be good friends! I had a great 2014 and look forward to 2015.